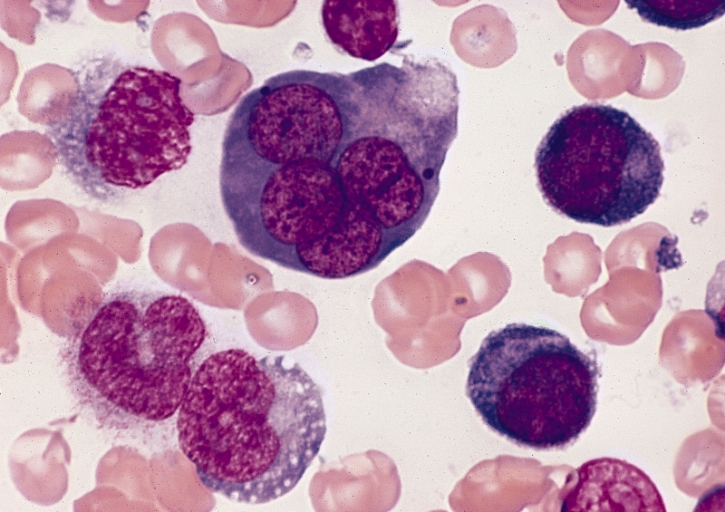 Acute myeloid leukaemia (AML) is a devastating disease that claims 1000 Australian lives annually. Although standard chemotherapies can achieve remission in about 2/3 of patients, only about 1/4 of patients survive more than 5 years after their diagnosis. The poor prognosis for AML is due to disease relapse, which occurs in most patients and frequently within 2 years of achieving remission. AML cells display genetic and phenotypic heterogeneity, and this can have important clinical implications. For example, minor sub-clones present at diagnosis can give rise to relapsed disease, implying that therapeutic strategies targeting only the dominant clone are likely to have disappointing results. Epigenetic regulation is also important in AML, with mutations in epigenetic modifiers being frequent and early events in development of the disease. These mutations are accompanied by global dysregulation of the epigenome, and epigenetic therapies have also been used to treat AML patients. Despite the clinical relevance of epigenetics and cell heterogeneity in AML, very little is known regarding the importance of epigenetic heterogeneity in this disease. Our lab uses single-cell multi-omic sequencing technologies to investigate the patterns, causes and consequences of epigenetic heterogeneity during AML progression. We hope to find new strategies to manage and treat AML based on a thorough understanding of cellular heterogeneity in this disease. The functional relevance of epigenetic heterogeneity on AML cell growth, and links to patient prognosis. The effect of mutations in epigenetic regulators (e.g. DNMT3A, TET1/2, IDH1/2) on AML cellular heterogeneity. The influence of environmental and metabolic factors on epigenetic heterogeneity and dynamics in AML cells. Jones, Issa & Baylin (2016) Targeting the cancer epigenome for therapy. Nature Reviews Genetics volume 17, pages 630–641. Angermueller et al (2016) Parallel single-cell sequencing links transcriptional and epigenetic heterogeneity. Nature Methods volume 13, pages 229–232. Clark et al (2016) Single-cell epigenomics: powerful new methods for understanding gene regulation and cell identity. Genome Biology 17:72. Funding: $27,596 per annum (2019 rate) indexed annually. The living allowance scholarship is for 3.5 years and the tuition fee scholarship is for four years. Scholarships also include up to $1,500 relocation allowance and Overseas Student Health Cover at single rate, for an international candidate. A consistent history of high academic achievement (equivalent to a GPA of ~6 out of 7, or equivalent). Undergraduate training in molecular and cellular biology. A sound understanding of fundamental principles in epigenetics and/or haematology. A minimum of 6 months’ work experience in a biomedical research laboratory, preferably successful completion of an independent research project (e.g. Honours or Masters by Research). Experimental skills in mammalian cell culture, nucleic acid purification, analysis of DNA methylation, and preparation of next generation sequencing libraries. The ability to work independently, with strong skills in critical thinking and problem solving. Exceptional written and spoken English skills (as outlined in the University’s eligibility criteria). The successful candidate must also meet the minimum eligibility criteria for admission and be able to commence their studies between January 2020 and March 2020. Interested applicants should send an email expressing their interest along with scanned copies of their academic transcripts, CV, a cover letter meeting the eligibility requirements above, and a proposal that specifically links them to the research project. Please send the email expressing interest to Heather.Lee@newcastle.edu.au by 5pm on 31 August 2019.